I’ve played literally every single Mario Kart game to-date and enjoyed them all, and I enjoyed Mario Kart 8, but at this point Nintendo could be running out of ideas. Mario Kart 8 feels like Mario Kart 7 and Mario Kart Wii hugged each other through a “better graphics” machine and somehow came out attached to the ceiling. Which isn’t to say it’s bad. Mario Kart 8 brings back the 12-player races with both karts and bikes introduced in Mario Kart Wii with the handling and hang-gliding system of Mario Kart 7. Each Mario Kart iteration does a little bit different, introducing a new mechanic, a new power up etc. and Mario Kart 8 brings us the ability to drive on walls and ceilings. Not sure whether it’s hovering, or anti-gravity, or pseudo-gravitational-magnetized wheel-devices, but it’s a cool mechanic. It’s just not inherently changing the game. Not yet. The demo for Mario Kart 8 was a tad bland, and at that disappointing. It didn’t feel like 50cc, it felt like about 25cc; the AI phoned it in hard and I spent most of each race just talking with the Nintendo representative and drifting around corners. The handling felt great and there’s something about seeing the karts, levels and items in HD that gives me a genuine feeling of excitement. It was a net-positive gameplay experience, even if the demo itself was a bit of a let down. For all my time in first place cruising through the levels I thought about Mario Kart and what sort of game it is for me. I came to the conclusion that I’m absolutely alright with Mario Kart 7 + Wii, it feels like a modern quality Mario Kart title, and I’m down to drive on ceilings and stuff. It’s not mind-shattering, it’s not something I need right this very minute, but if what I played was the gist of it it’s something I’ll buy when it’s time for a new Mario Kart in my life. After finishing the demo of three race tracks and a thorough lack of challenge, I realized that there’s still room for brilliance. What I saw looked fantastic, what I played was fun, but I’m more intrigued by what I haven’t seen yet. The magnetism was used in every track I raced on, to some avail, but there’s so much more they can do! More alternate paths, more visually evocative designs, and more freedom to break the rules of reality in favor of purely well-planned map design. Sure, Mario Kart 8 hasn’t blown my mind yet, but it’s just under a year away and the foundation is set for something fantastic. Imagine how insane this game’s Rainbow Road will be. 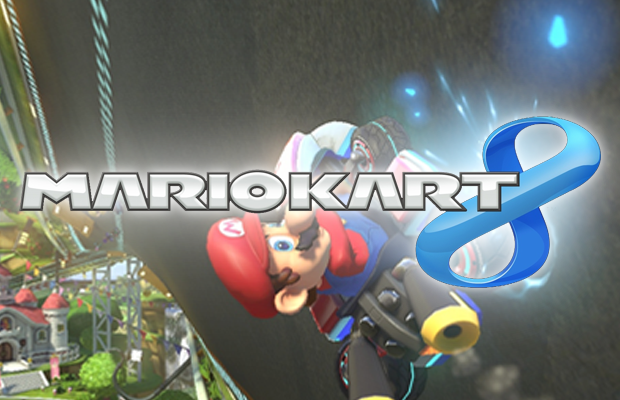 Mario Kart 8 is currently scheduled for release early 2014 only on Wii U.